NOAA Fisheries and the Florida Fish and Wildlife Conservation Commission (FWC) have approved changes to the current size limit of both greater amberjack and gag grouper. This change has been implemented in both state and federal waters off Florida. Florida state waters are from shore to nine nautical miles out and are managed by the FWC. 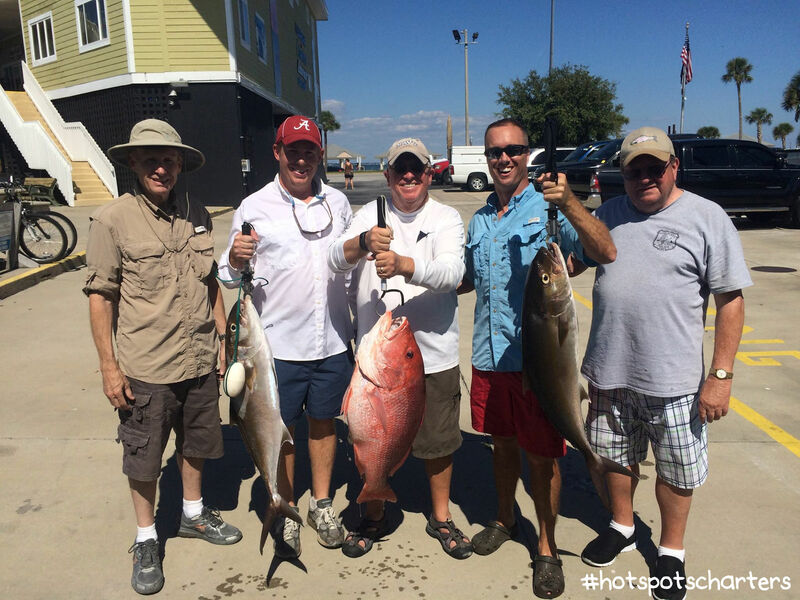 Federal waters extend from where state waters end, out to about two hundred nautical miles and are managed by NOAA Fisheries with recommendations from the Gulf of Mexico Fishery Management Council. Greater amberjack must now be thirty-four inches to the fork to harvest. In 2008 the size limit was increased from twenty-eight to thirty inches and has remained at thirty until this year. When measuring fork length, it’s done from the tip of the lower jaw to the center of the fork in the tail. The purpose of the increased size limit is based upon the life history of greater amberjack where at 30 inches, only 11 percent of female greater amberjack are sexually mature; whereas at 34 inches, 85 percent are sexually mature. Increasing the minimum size limit allows more fish to reach sexual maturity and possibly spawn before being harvested. A recent stock assessment concluded that greater amberjack continue to experience overfishing and did not meet the 10-year rebuilding plan that ended in 2012. The framework being put in place for greater amberjack adjusts the annual catch limit and commercial / recreational management measures to ensure the stock is rebuilt. The 2015 amberjack annual catch targets were set at 1,092,372 for the recreational sector and 394,740 for the commercial sector. The 2014 recreational catch target was only 862,512 pounds because there was a 267,488-pound overage in 2013. This year the annual catch limit will be 1,255,600 pounds for recreational and 464,400 pounds for commercial. In addition to the change for recreational anglers, the commercial sector will also now have a 1,500-pound trip limit on greater amberjack. The limit was 2,000 pounds before and they also have a 36-inch minimum size limit. Gag and black grouper now have a minimum size limit of 24 inches total length. The minimum size limit for gag grouper has been 22 inches since June of 2000 when it was increased from 20 to 22 inches. Because gag and black grouper are commonly confused for one another, the size limit was increased for both species. These changes also mean that the size limit for gag and black grouper will be the same in both Gulf of Mexico and Atlantic waters. Just like with the amberjack this increase in size limit is expected to provide more opportunity for gag and black grouper to mature before entering the fishery. Over the last few years the gag grouper season in both state and federal waters has opened on July 1 and closed before the end of the year, but fishery managers are expecting to be able to keep both the state and federal seasons open through the end of the year with the new minimum size limit. They are also considering opening the season prior to July 1. Opening the season earlier would help reduce discards of gag grouper during the recreational red snapper season that is expected to open sometime in May in Florida state waters and the beginning of June in federal waters. Keeping the season open through December would provide additional fishing opportunities for southwest Florida anglers who have expressed interest in being able to target gag during this time of year.